Three Kings Day, or El Dia de los Reyes Magos, celebrates the biblical story of the three kings who saw a star appear in the sky on Christmas Day and followed that beacon to a livestock shed in Bethlehem, where they found, and worshiped, the newborn Jesus. The Three Kings were said to have taken 12 days to complete their journey, and they arrived with gifts. In the days before Santa Claus became the seasonal standard, that period was celebrated as the 12 days of Christmas. And in many cultures, traditional gift giving took place on Jan. 6, The Epiphany, the day that the baby Jesus received his gifts from the Three Kings. In actuality, it probably took months, possibly years, before the magi arrived, and the Christ child was probably a toddler by then. Three Kings Day arrived in Puerto Rico with Columbus in 1493 and was the primary winter celebration for four centuries, until the island became a colony of the United States in 1898 as a spoil of the Spanish-American War. A child growing up in Puerto Rico 50 years ago did not know Santa Claus. January 6 was THE special day, the day the three kings arrived to bring presents to the baby Jesus, but stopped on the way to drop off a gift for every child. The celebration hung on for decades after the takeover but began losing ground to the Germanic fat man in red and white in the 1960s, when imported evergreen trees flocked with fake snow started showing up in local markets. ORIGINS OF THE MAGI STORY…. In the Gospel of Matthew the only place in the bible to describe the visit of the magi, he states that they came “from the east” to worship the Christ, “born King of the Jews”. Although Matthew does not name them nor mention their number, because three gifts are recorded as having been given to the Christ Child, traditionally there are thought to have been three Magi. Different traditions identify a variety of different names for the Magi. In the Western Christian church they have been commonly known since the 8th century as the names we are familiar with, Caspar, Melchior, and Balthasar. These derive from an early 6th century Greek manuscript in Alexandria. The Latin text Collectanea et Flores continues the tradition of three kings and their names and gives additional details. This text is said to be from the 8th century, of Irish origin. The tradition of depicting at least one of the kings as black didn’t show up until quite late in literature and even later in art. And contrary to popular belief, references to the Magi were only mentioned 3 times in the bible. The Gospel of Matthew mentions their journey to Bethlehem and their meeting with King Herrod, their adoration of the Christ Child, and their departure avoiding King Herrod. LOS REYES IN PUERTO RICAN FOLKART…. In Puerto Rico Los Reyes Mago are traditionally carved by santeros (saint carvers). This tradition came from the Jibaros (country folk) carving their own saints and religious figures for altars in their homes where they can worship because they were very far from the nearest town church. Also, in a country where the official church was often identified with an oppressive colonial government, santos and the domestic devotions associated with them allowed their owners to bypass the church in their dealings with the sacred world. Santeros traditionally carve Los Reyes either standing shoulder to shoulder or riding horses shoulder to shoulder, with Gaspar always placed in the center, a place of honor. There are many different theories and symbolism behind the three kings. One of which is that they were not kings but humble wise men skilled in astronomy. They were also referred to as the Magi, coming from the word Magician which had a different connotation than it does today, and they traveled in large groups of 30 to 50. Over time they evolved from humble wise men to kings. This may have been a way for the Church to symbolically illustrate the kings of men on earth recognizing and bowing down to Christ as king of all mankind. There is no written record in the gospel of Matthew in the Bible, as to how many wise men there actually were, only a reference to the three different gifts they offered. In Christianity, the number three is often used and is symbolic of the Holy Trinity. In Three Kings lore, the number three also symbolizes the three races of mankind, European, Asian and African. 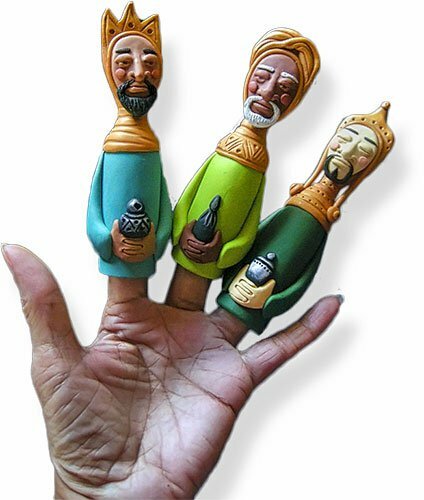 They are also often depicted as an Arab, Asian, and African, and sometimes as three wise men from Persia and have been, and are portrayed to reflect diverse origins, from different points on earth. They were also seen as symbols for the three ages of humanity: youth (Gaspar), adulthood (Balthazar), and old age (Melchior). It is interesting to find that in Puerto Rican tradition, Melchior is the “Moorish” king, or the one with a dark complexion, while Balthazar has white hair and beard, and Gaspar is a beardless youth. The gifts they bore were also symbolic and of double meaning. Melchior from Arabia was the smallest in stature. He brought gold as his offering. Gold is a symbol of kingship symbolizing virtue on earth and in heaven. Balthazar from the orient brought frankincense as his offering. Frankincense was used as a perfume and was also a symbol of priest ship symbolizing prayer. 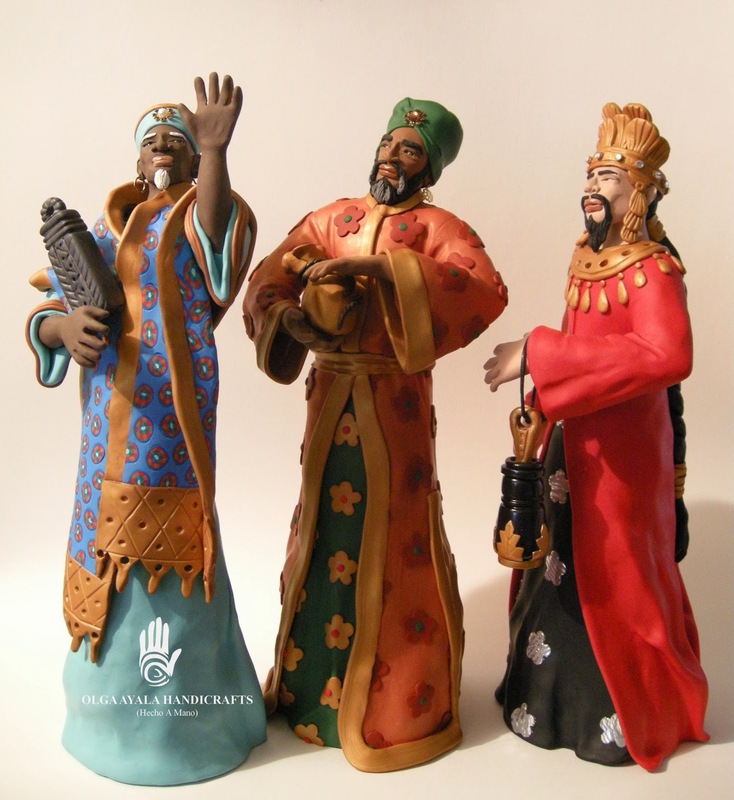 Gaspar, the third king, and traditionally the tallest of the Magi, was an African from Ethiopia. He was known as the “Master of the Treasure” and brought the gift of myrrh. Myrrh was commonly used as anointing oil in life, and embalming oil in death. It is a symbol celebrating life and also symbolizes death and suffering. This entry was posted in General Topics and tagged events. Bookmark the permalink. 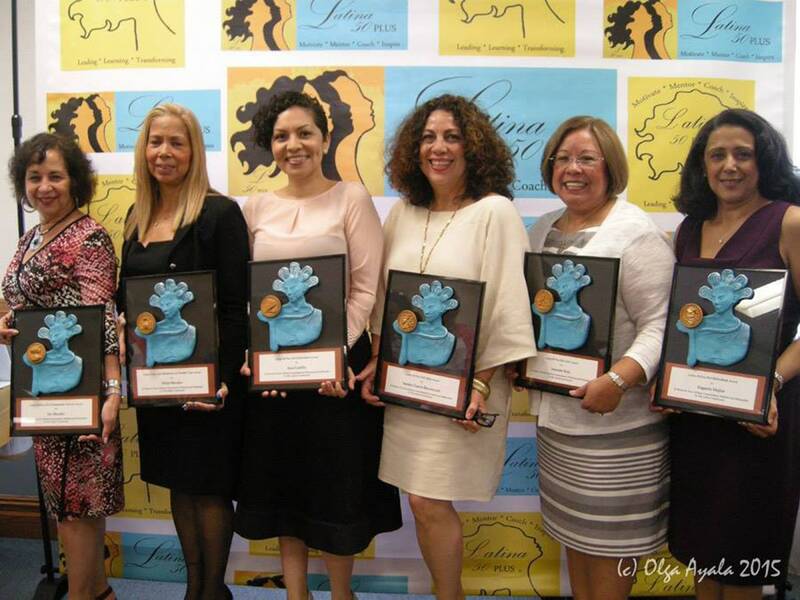 NBC Latino Press NBC Latino covers the 2015 Annual Latina 50 Plus Award ceremony and the artist who designed and created the award. Interactive polymer NYC artist Olga Ayala wants her art to be interactive. 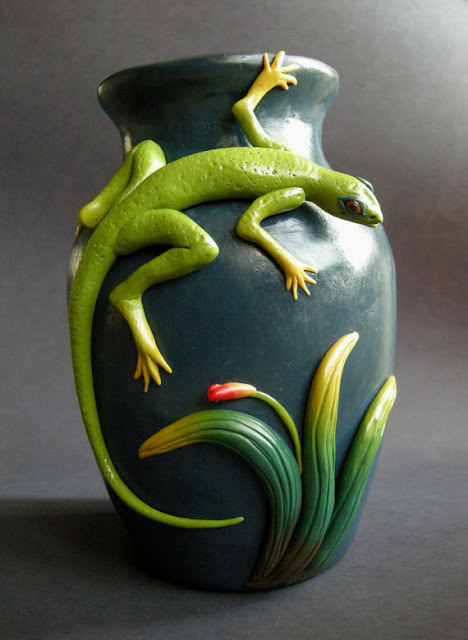 “I am a polymer clay artist who doesn’t believe that art should be something you just look at. That’s why many of my pieces of art are also functional, ” she says. 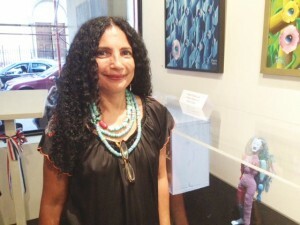 PRIDA on parade: Exhibit focuses on El Barrio talent Olga Ayala part of group exhibition in El Barrio. Olga Teaches Culture through Art at the 2016 NYBG's PR Heritage Month Celebration Olga teaches a class of public school students about vejigants, colorful Puerto Rican folkloric figures, via an articulated paper doll class.